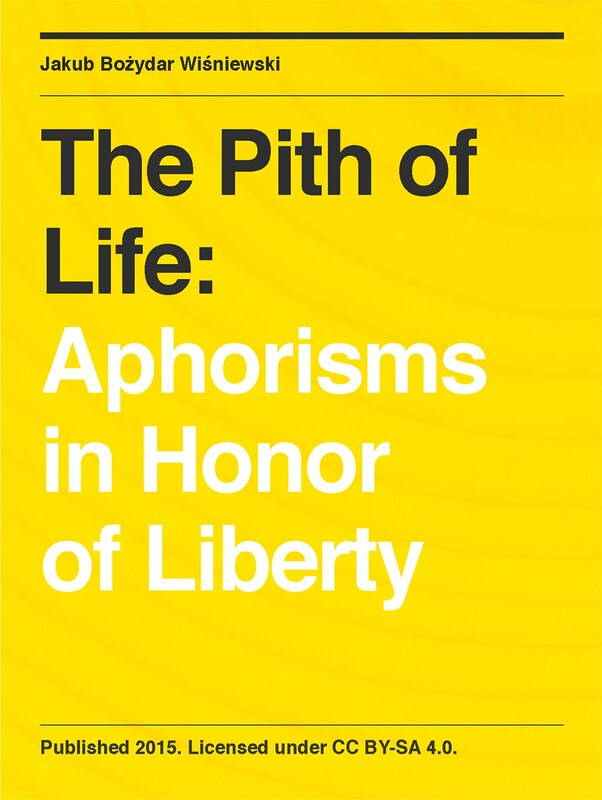 My collection of over 600 liberty-themed aphorisms, entitled "The Pith of Life: Aphorisms in Honor of Liberty", is now available for purchase. I believe that the form of aphorism, with its motto of maximum content in minimum space, has great potential for promoting the cause of liberty, especially given the information age’s healthy preference for brevity. The beauty of an aphorism is that it does not have to sacrifice brevity for depth, just as liberty does not have to sacrifice efficiency for equity: their best features reinforce one another rather than being opposed. Perhaps in this sense liberty is the most aphoristic of human qualities and the aphorism is the most libertarian of literary forms. If you believe likewise, I invite you to purchase, recommend, and share this collection, so that the numbers of liberty lovers may grow. 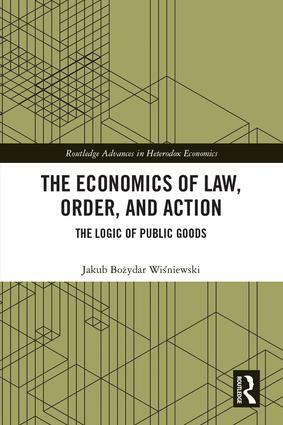 It is my hope that in the context of furthering this process, the terseness of an aphorism can usefully complement the comprehensiveness of a philosophical treatise and the poignancy of a novel. In other words, it is my hope that the message of liberty – the pith of our life – is well suited to be conveyed in a literary form that, at its best, is as pithy as it is lively. PS. Only the Kindle version is available at the moment, but the print-on-demand option will be added shortly. I absolutely LOVE your book. It should be translated soon to Spanish and many other languages! 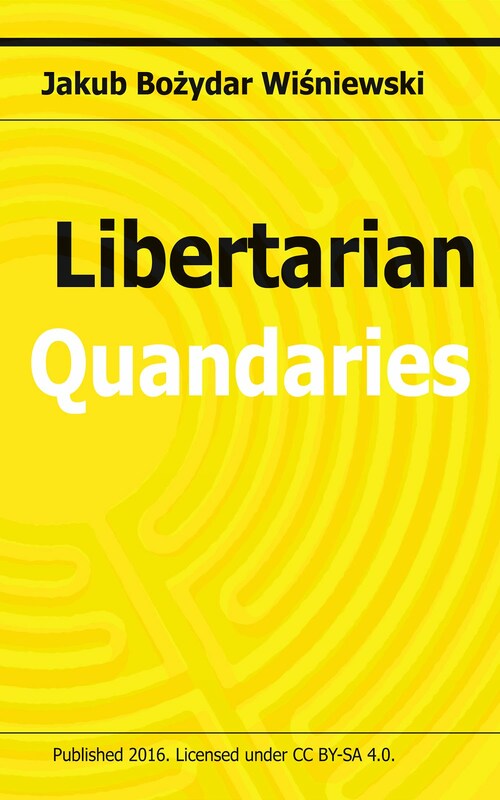 I'm sure many of your aphorisms will enter common libertarian parlance.